I listened to a recent Against The Stream Podcast today (I highly recommend these free podcasts from the Against The Stream Buddhist Meditation Society as a resource of great Dharma Talks - Kick 'em a few bucks if you find it useful for your practice). 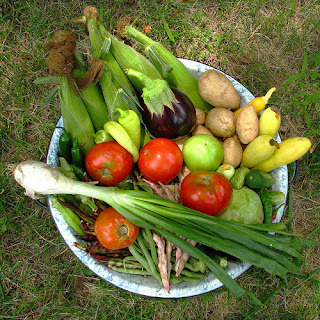 The Podcast was one by JoAnna Harper on Right Speech. Samma-Vaca, I think, if you're keeping track in Pali. Anyhow, the podcast was great. JoAnna talks about all the types of wrong speech such as gossip. She even goes in to things that she personally lumps in to that same category such as eye-rolling, door-slamming and so forth. I like her talks and, as she's fairly new to it I guess, her down to earth and sincere vibe. I especially liked that shortly after she pointed out that people need to learn to appreciate the silences and not feel the need to fill every moment with conversation (which she stepped right up and acknowledged that she used to do herself) she then muttered that she had to "keep turning pages" while she looked for something in her notes. It was a very endearing quality to see her do exactly what she was talking about during the Dharma Talk. Anyhow, it got me thinking. Or, more accurately, it focused my lens on what had been running through my mind a lot lately. I've had numerous situations lately where I've had to practice Right Speech very mindfully or have been keenly aware of the effects of Right (or wrong) Speech. A couple of decades ago, a guy who was like a brother to me did many things which damaged his family and our brotherhood of friends. I honestly, very seriously, considered him to be evil. Evil like the devil, to quote from "So I Married An Axe Murderer". So for two decades, I carried this fear and hatred around with me, and we never spoke again. Until recently. Recently he initiated a reunion, of sorts, and our brotherhood rallied together again in his home town. I was in to the whole thing mostly to see the other guys I had lost touch with. Building up to the event, I practiced a lot of loving-kindness meditation, and spent great quantities of meditation time pondering and practicing forgiveness, specifically toward him, so that I could get through the experience. I fully expected it to go badly, but had hopes that we would at least get through it without drama. I arrived in town and, after the gang got together, it was immediately obvious to me - let alone everyone else - that we had all lost out on almost two decades of friendship, fellowship and brotherhood because of wrong speech. Unskillful words, and little else, had caused this. And a LACK of compassion and a clinging to wrong perceptions, had perpetuated it. In the end, open hearts and a lot of hugs had erased all the pain and suffering that those words had caused. We all picked up where we had left off, and the reunion was one of the greatest, most healing weekends of my life. I've had several other experiences recently that are similar too. Old friendships that had been lost and rediscovered turned out to have been lost in the first place due to unskillful speech. Old opportunities were missed because of a lack of using Right Speech. Current relationships are protected from harm by the judicious use of Right Speech, my care for the latter having been now informed by the lessons taught by the former. The list goes on. Thich Nhat Hanh says “Holding on to anger is like grasping a hot coal with the intent of throwing it at someone else; you are the one who gets burned.” This is so very, very true. Please check out the Dharma Talks mentioned above if you have the time. Ponder this post. Consider and meditate on Right Speech. It's only one aspect of the Eightfold Path, but take the time to practice it and consider it. Don't let unskilful speech cause you to lose years of relationships, or miss opportunities that could be life altering. All of that said, I have no regrets. As I've written recently, I firmly believe that everything is as it should be, but these are all things that you should experience and deal with skilfully for yourself. I wish you the best, most skillful results of your own Samma Vaca! I love to see science exploring these sorts of things. This is a good article on yet another study of how the human brain is clearly benefited by meditation. Just wanted to share it here, as many of my readers are interested in this sort of thing. One of my most popular posts was the book review on Buddha's Brain so I hope you'll find this interesting. Enjoy! CNN Article on How Meditating May Help Your Brain. While I was away, this weekend, having one of the greatest weekends of my life visiting with old friends SavorTheBook.com's Blog posted the second part of the interview they did with me recently. I am pleased and honored to have been a part of this and would love for you to check it out. 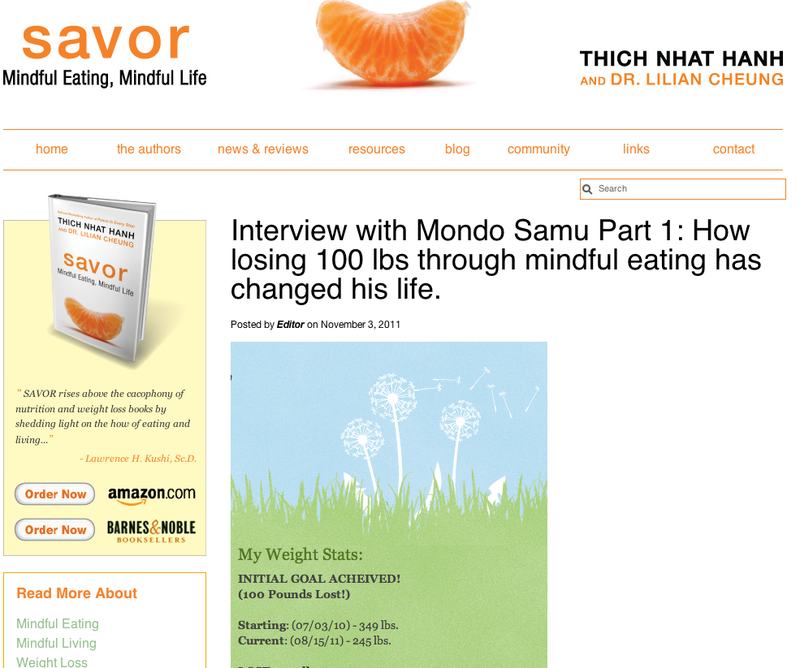 Part Two of the Mondo Samu Interview with SavorTheBook! Head over and check it out, and please let me know if you have any questions or comments! Thank you for taking the time! 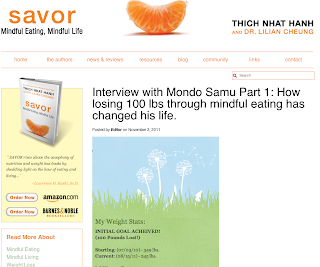 I am extremely pleased and honored to have been interviewed by the great folks over at SavorTheBook.com for a series on my process of losing weight through Mindful Eating, and Mindful Living. Please head over there and check it out. If you like what you see, share it with others. I'm so excited about the new gadget that Jawbone has released! I'm hoping to get my hands on one to review. I'll keep you posted. For now, just know that it's a bracelet that you can wear 24/7 that will track your motion for exercise and sleep as well as work in conjunction with an iPhone app to track your food. It's essentially a life-tracking device to help you track your days and make improvements based on the results. 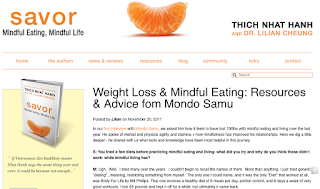 It is, in my opinion, the best thing out there (so far, based on what I know) for using digital gadgetry in your mindful eating and living pursuits! Check it out, and I'll post a review if I'm lucky enough to get my hands on one soon!